DROPS FALL SEALING WITH GOLDEN S.S.CABIN IN GOLD WITH MIRROR BACK SIDE GIVES YOU A DAZZLING LOOK. 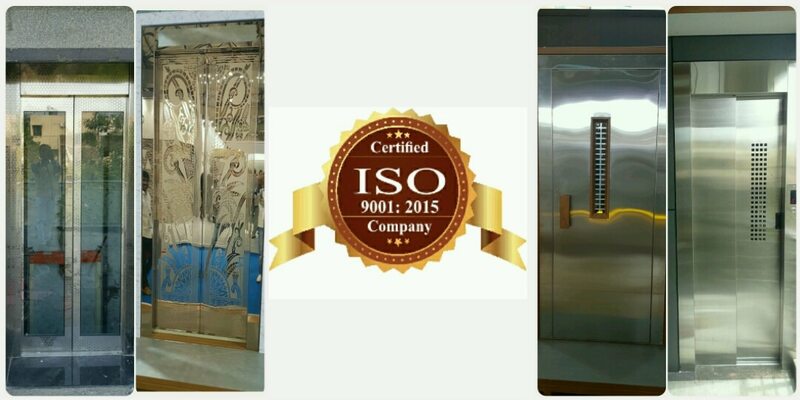 ELEVATOR MANUFACTURERS IN HYDERABAD. M.S.CABIN MIXED WITH S.S. MIRROR BACK SIDE WITH POWDER COATED PAINT CABIN IS ONE OF THE BEST COMBINATIONS S.V.M LIFTS EVER MADE. MANUFACTURERS OF ELEVATORS IN HYDERABAD. HURRY WALKTHROUGH SALE OFFER NOW. CONTACT US. SVMLIFTS -Elevator is a Simple yet a very effective Vertical Transportation solution for your Row House, Bungalow, Villa, Duplex Apartment or Pent House. This Elevator does not need a Machine Room for gearless type and is fitted within the Lift Shaft and works on Single Phase Current Supply. A small unit is Required for hydraulic type for accommodating the Hydraulic unit. The Elevator can be made for carrying capacity of upto 300 Kilograms. All the Mechanism of the Elevator is fixed to only One side of the Hoistway and hence Requires Support on only one side and the opening can be given on any of the other three sides. DESIGNER FALL SEALING WITH S.S.CABIN IN MIRROR FINISHING GIVES YOU A PERFECT LOOK FOR YOUR BUILDING WITH ECONOMICAL AND SAFETY ASSURED. We are engaged in offering our clients an attractive range of Collapsible Gates. The gates provided by us are manufactured at our well-equipped production unit using the optimum quality raw material and pioneering technology in conformity with set industry standards. Our offered gates are used at varied residential and commercial places. Being a quality leaning firm, our quality auditors test these gates upon respective parameters in order to remove all scopes of error. Features: Precise dimensions Easy installation Application specific design. NEW FALL SEALING DESIGN WITH GOLD AND MIRROR CABIN 6-PASSENGER ELEVATOR MANUFACTURE IN HYDERABAD.